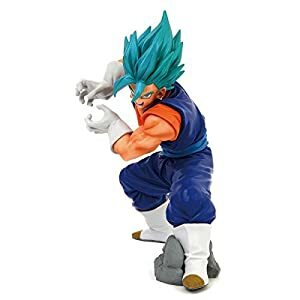 Buy Banpresto Dragon Ball Super Final Kamehameha Super Saiyan God SS Vegito Action Figure at Discounted Prices ✓ FREE DELIVERY possible on eligible purchases. TEQ VEGITO BLUE IRL?! FINAL KAMEHAMEHA VB BANPRESTO DRAGON BALL SUPER FIGURE UNBOXING! Vegito prepares to strike in this highly detailed non-articulated figure from Banpresto!